Antique Paper Scrap, old store stock, unused, meant to be applied to Victorian Calling Cards in the 19th century. 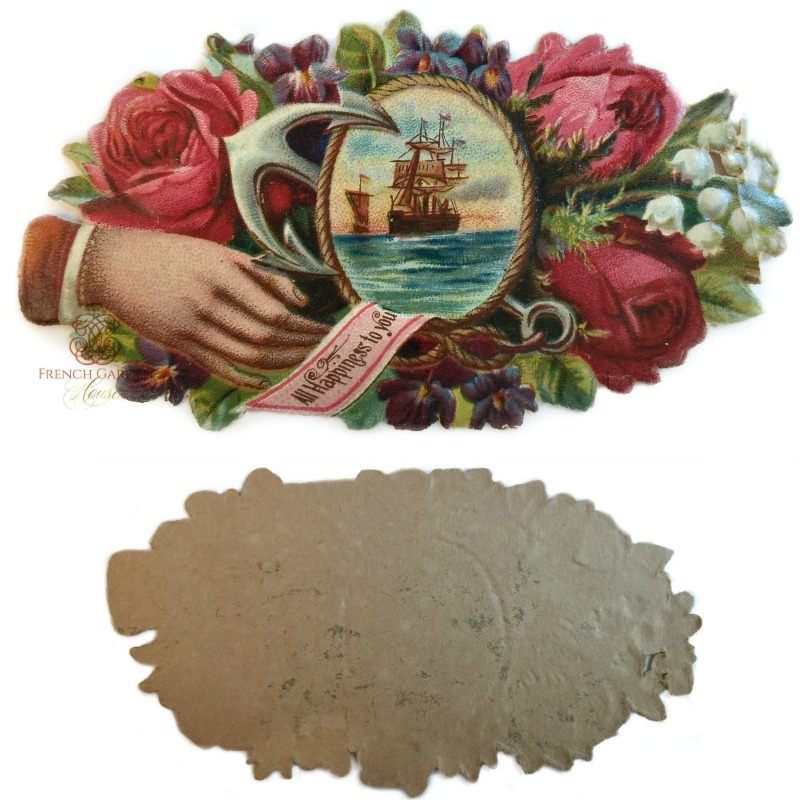 Features all the favorite sentimental images so beloved in the late 1800's, a hand, roses, lilies of the valley, violets, and an anchor and sail boat on the ocean. Beautiful colors, a wonderful addition to your collection of antique ephemera, or to use for a special project. Each measures 3-1/2" x 2". Sold per piece.